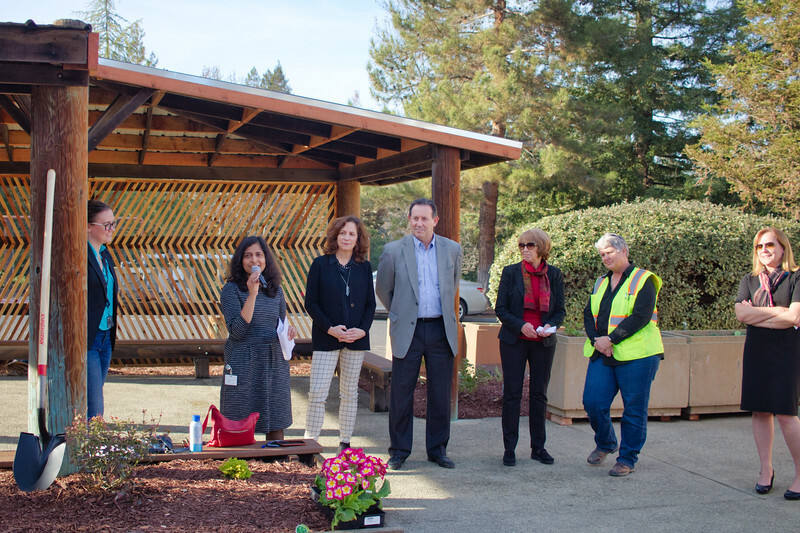 HP unveiled a new sustainable garden at its global headquarters in Palo Alto, partly funded by a rebate from the City for an energy efficiency project at the campus. The City has been working with HP on a site wide retro-commissioning project to optimize the efficiency of existing heating, ventilation and air conditioning (HVAC) systems, upgrade building energy management software, and install LED lighting. HP is already seeing energy savings results including a year-over-year site-wide electricity reduction of 1,430,149 kilowatt hours (kWh) and close to 105,000 therms. This is equivalent to the amount of energy needed to power roughly 250 homes in Palo Alto for a year. Consistent with the company’s philosophy to ensure their employees thrive at work, at home, and in their communities, HP decided to put the rebate savings back into engagement projects that employees could see and participate in, including funding the new employee run community garden.